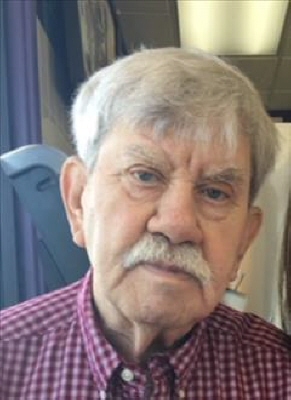 James "Bobby" Glass, age 79 of Ball Ground, passed away Saturday, September 22, 2018 at Sonshine Manor. Bobby was born April 17, 1939 in Dawsonville to Andy and Fannie Mae Glass. Survivors include daughter and son-in-law, Misty and Jim Fletcher of Jasper; grandson, Colby Fletcher of Jasper; niece, Donna Tippens of Jasper; nephews, Johnny Glass of Dawsonville, and Alex Glass of Dawsonville. Funeral Services will be held 11:00 a.m., Monday, September 24, 2018 at the Chapel of Roper Funeral Home with Reverend Gene Hyde officiating. Interment will follow at Sunrise Memorial Gardens. The family will be receiving friends at Roper Funeral Home Sunday, September 23, 2018 from 12:00 p.m. until 9:00 p.m. and Monday, September 24, 2018 from 9:00 a.m. until 11:00 a.m.
To send flowers or a remembrance gift to the family of James Bobby Glass, please visit our Tribute Store. "Email Address" would like to share the life celebration of James Bobby Glass. Click on the "link" to go to share a favorite memory or leave a condolence message for the family.